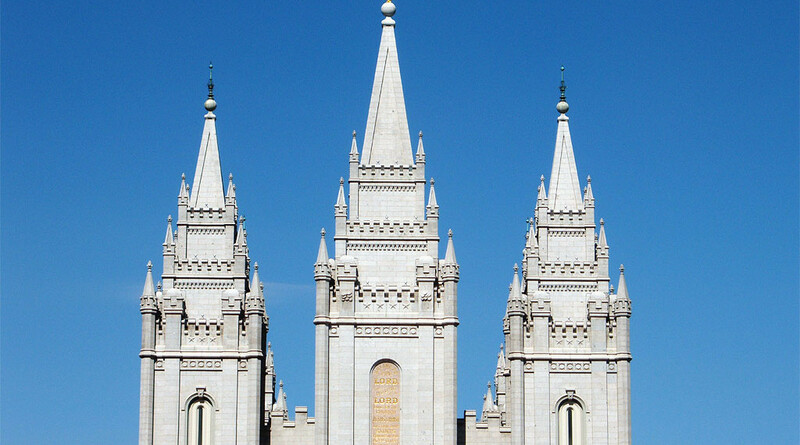 Response to "44 Reasons the Church is True"
In 2014, the popular LDS blog, LDS Smile, published an article attempting to highlight 44 reasons that The Church of Jesus Christ of Latter-day Saints is true. In this response, each “reason” is included with its original title and description in bold. It is interesting that LDS Smile would lead with this point. Having witnesses does not make something true. 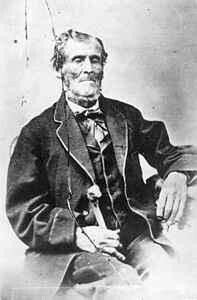 After Joseph Smith’s death, a man named James Strang claimed that Joseph had named chosen him as a successor. Strang produced plates from which he translated The Book of the Law of the Lord. Seven witnesses handled the plates and published their testimony. Even religions outside of Mormonism have witnesses of miraculous events. The Shakers, led by Anne Lee, a contemporary of Joseph Smith, had a sacred Scroll and Book produced through miraculous means. Eight witnesses published their testimony, saying, “We, the undersigned, hereby testify, that we saw the holy Angel standing upon the house-top, as mentioned in the foregoing declaration, holding the Roll and Book.” Unlike the eight witnesses of the Book of Mormon, these witnesses were not connected by family ties. 2. Why Involve Witnesses at All? This point presumes that the witnesses of the Book of Mormon were knowingly involved in a conspiracy of fraud. It is far more likely that the three witnesses conjured imaginative emotional experiences that they, with Joseph’s help, interpreted as miraculous manifestations. Elsewhere, Harris stated that he had “hefted the plates repeatedly in a box with only a tablecloth or a handkerchief over them,” but he “never saw them only as he saw a city through a mountain.” (Early Mormon Documents, vol. 2, pp. 291-292). In 1880, David Whitmer was asked for a description of the angel who showed him the plates. 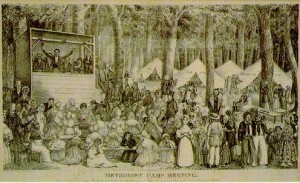 Whitmer responded that the angel “had no appearance or shape.” When asked by the interviewer how he then could bear testimony that he had seen and heard an angel, Whitmer replied, “Have you never had impressions?” To which the interviewer responded, “Then you had impressions as the Quaker when the spirit moves, or as a good Methodist in giving a happy experience, a feeling?” “Just so,” replied Whitmer (Interview with John Murphy, June 1880, EMD 5:63). The witnesses did not need to be liars. They merely had to believe that the scenes they fabricated through their imaginations were legitimate spiritual experiences. In an effort to find one sensible historic artifact to redeem the Book of Mormon, the discovery of the NHM altar has been blown completely out of proportion. The Book of Mormon describes a place called Nahom. The altar, however, is a mere reference to the Nihim tribe in Yemen. Mormons have literally filled in the blanks of “NHM” to make it Nahom despite the fact that this interpretation is not substantiated by the artifact nor by other archaeological evidence. This point is more detrimental than helpful. If the plates were actually made of gold, they would have weighed about 200 pounds, rather than the described 60 pounds. Apologists say that the plates were probably made of a gold-copper alloy. Yet even LDS Mesoamerican scholar, Brant Gardner recognizes that the mention of gold in the Book of Mormon is problematic. Apparently Martin Harris is only “a respectable and man full of integrity” when it suits Mormonism’s purposes. Joseph Smith and other Mormons were quick to throw Martin’s integrity under the bus the minute he disagreed with them. Joseph described Martin and the other estranged witnesses as “too mean to mention; and we had liked to have forgotten them” (B.H. Roberts, ed. History of the Church of Jesus Christ of Latter-day Saints, Salt Lake City: Deseret News, 1905, 3: 232). 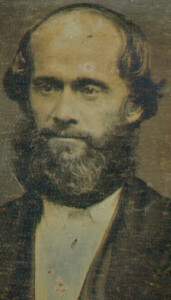 Martin Harris was also described as superstitious and foolish. He joined many religions through his life. 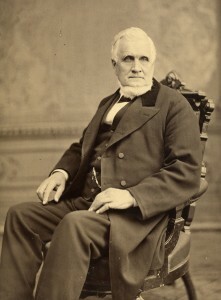 Phineas H. Young told Brigham Young that Harris’s testimony of Shakerism was “greater than it was of the Book of Mormon” (Letter of Phineas H. Young to Brigham Young, Dec. 31, 1844). “No matter where he went, he saw visions and supernatural appearances all around him. He told a gentleman in Palmyra, after one of his excursions to Pennsylvania, while the translation of the Book of Mormon was going on, that on the way he met the Lord Jesus Christ, who walked along by the side of him in the shape of a deer for two or three miles, talking with him as familiarly as one man talks with another” (John A. Clark letter, August 31, 1840 in EMD, 2: 271). Many of the names in the Book of Mormon were either taken directly from the Bible (Lehi, Laban, Ammon, etc) or were probably adapted from Biblical names (Aminadab=Abinadom, Kish=Akish, Helam=Helaman, etc). According to the citation from lds.org, “we have learned that several ancient documents were written in precisely that fashion.” Yet, no citation is offered to substantiate the claim. Meanwhile, not a single non-Mormon scholar acknowledges the existence of either a “reformed Egyptian” language or any resemblance to Egyptian in New World archaeology. John A. Wilson, professor of Egyptology at the University of Chicago, wrote, “From time to time there are allegations that picture writing has been found in America… In no case has a professional Egyptologist been able to recognize these characters as Egyptian hieroglyphs. From our standpoint there is no such language as ‘reformed Egyptian’.” (Letter to Sandra Tanner, March 16, 1966). Klaus Baer, another Egyptologist at the University of Chicago, called the characters of the Joseph Smith “Caractors” document nothing but “doodlings” (Changing World of Mormonism, Moody Press, 1980, p. 143). An early-twentieth-century scholar said that the Joseph Smith “Caractors” document looked more like “deformed English” (Cumorah Revisited or, “The Book of Mormon” and the Claims of the Mormons Reexamined from the Viewpoint of American Archaeology and Ethnology, Cincinnati: Standard Publishing Company, 1910, 538). Anthropologist Michael D. Coe of Yale University, an expert in pre-Columbian Mesoamerican studies, has written, “Of all the peoples of the pre-Columbian New World, only the ancient Maya had a complete script” (Breaking the Maya Code, preface). As discussed earlier, it would not be necessary for them to deny their witness if they believed it to be a valid spiritual experience. Even so, there is some evidence that various witnesses, primarily Oliver Cowdery, may have denied their testimony at different times. What the article fails to acknowledge is that the actual dictation days were spread across almost two years and that Joseph had spent the previous four years preparing for the dictation. With Oliver Cowdery acting frequently as a full-time scribe, this accomplishment, though intriguing, is not inherently miraculous. If the capacity to write is a sign of the prophetic gift, then Joseph Smith pales in comparison to Scientology founder, L. Ron Hubbard, who still holds the world record for most books ever published–1,084. “Further, there is no evidence at all that Joseph Smith did any scholarly research, or even that he read very much, before the Book of Mormon appeared. In fact, he may not even have owned a Bible at the time of translation. Joseph Smith had spent the bulk of his time as a youth cutting trees, burning brush, clearing rocks, and plowing. He had received at most a few months of formal schooling. His mother later recalled that, even into his late teens, “he seemed much less inclined to the perusal of books than any of the rest of our children. It is incorrect to paint Joseph Smith as illiterate or uneducated simply because of his limited experience in formal schooling. Both Joseph Sr. and Hyrum Smith were off-season teachers. Lucy Mack Smith testified that they did not neglect the education of their children. Before his death, Joseph donated many books. Of those books, “75 percent of the pre-1830 titles can be verified as either directly available in the Palmyra area or as being promoted there” (Early Mormonism and the Magic World View, p. 189). Pomeroy Tucker was born in Palmyra, New York in 1802, three years before Joseph Smith. He said, “Joseph … had learned to read comprehensively … [reading] works of fiction and records of criminality, such for instance as would be classed with the ‘dime novels’ of the present day. The stories of Stephen Buroughs and Captain Kidd, and the like, presented the highest charms for his expanding mental perceptions” (Mormonism: Its Origin, Rise, and Progress, p.17). Stories like Captain Kidd is likely where Joseph first developed the idea of gold buried in a hill called Camorah (that is the spelling in the 1830 edition of the Book of Mormon), since the names Camora and Moroni were both associated with treasure hunting and Joseph himself was a treasure hunter. The article asks, “How did Joseph Smith know about ancient practices regarding preservation of sacred texts?” Per normal, they do not cite any evidence indicating that the preservation of sacred texts as described by Joseph Smith was a common practice in either the Old or New World. Statistical analysis not only “proves” that the Book of Mormon has multiple authors, it can also “prove” that significant portions of the Book of Mormon were plagiarized from books available to Joseph Smith like The Late War. The “ancient documents” cited by Jeff Lindsay were written long after both Joseph and Moses, between 1st and 14th centuries AD. The authors of the documents wrote their accounts, like Joseph did–looking back. It is hardly a stretch to imagine that they included the story of Joseph and Moses as they had learned it. Thus, it cannot be counted as evidence of prophecy since prophecy deals with future events. It’s hard to refute a point that is not given any substantiation. They provide a link to references, but the page has nothing on it. Actually, there are striking parallels between the Book of Mormon and Joseph Smith’s culture. The Late War (which has been cited before), History of the Rise, Progress, and Termination of the American Revolution, and The First Book of Napoleon both present the topics of warfare, religion, and culture in the same style as the Book of Mormon, many times using the exact same phraseology. Joseph didn’t have to know Hebrew grammar to dictate a story in a fairly accurate scriptural voice. Writing history in a scriptural style was not at all uncommon in Joseph Smith’s time. The Chaldee Manuscript, The Acts of the Elders or the Book of Abraham, The Chronicle of the Kings of England, and The Chronicles of Charles: The Young Man are all examples of historical texts that employ the same scriptural voice used in the Book of Mormon. The documented cited by the church is the Aramaic Papyrus #22 (also called Cowley #22 or C-22) and appears in Aramaic Papyri of the Fifth Century BC. The name that appears in that text is “śry t hwś br hrmn.” The document had to be partially reconstructed so that the name “śry” could be extrapolated to mean “Sariah” (probably pronounced Sar-yah or Sra-yahu). This is a common name among Hebrew males (appearing 19 times in the Hebrew Old Testament) and its appearance on a female character is an exception much more than a rule (like naming a daughter Michael. Sure, there may be another girl named Michael out there, but most Michaels are male). While this piece does count as evidence, it is certainly not strong evidence. The question posed by LDS Smile would be better phrased thus: “What other church better follows the LDS interpretation of the Biblical model of emphasizing the bilateral covenant nature of the Gospel?” The answer, of course, is that no other church follows the LDS interpretation of the Bible better than the LDS church. That being said, there are other churches that emphasize the role of covenants in the Gospel just as adamantly as the LDS church and explain Biblical covenants even more thoroughly. See: http://bit.ly/1JMCdtV , https://www.gci.org/law/covenants, http://www.scborromeo.org/papers/covenant.pdf. President John Taylor said, “There were men in those dark ages who could commune with God, and who, by the power of faith, could draw aside the curtain of eternity and gaze upon the invisible world. There were men who could tell the destiny of the human family, and the events which would transpire throughout every subsequent period of time until the final winding-up scene. There were men who could gaze upon the face of God, have the ministering of angels, and unfold the future destinies of the world. If those were dark ages I pray God to give me a little darkness, and deliver me from the light and intelligence that prevail in our day” (Journal of Discourses, Vol. 16, pg. 197). If a prophet is one who prophesies of future events, who sees the supernatural realm, or reveals heretofore unknown mysteries, then a better question for LDS Smile is: What happened to prophets in the LDS church since the leadership does not do any of those things? Since modern leaders of the LDS church do not prophesy, “see,” or reveal, their claim to prophethood lies only in their authority. If we are going to appeal to the Bible, then let’s ask this question: Where in the Bible does it say that a prophet is a prophet because he was chosen by a council, because he has recognized authority, or because he is the head of an organization? The answer is: Nowhere. This point is exactly the same as the one above. Refuting claims made by only certain Christian sects does not prove the LDS church to be true. Furthermore, doctrinal questions can seldom be settled by an appeal to the Bible since interpretation of its passages is subject to the biases of the interpreter. Those who claim that the Bible was the end of the official word of God have their justifications in the same way that Latter-day Saints have theirs. Latter-day Saints should be hesitant to demand that other religions’ claims must be justified by the Bible since many of their own teachings and practices either do not conform to or directly contradict biblical teachings. Most Christian sects believe that God continues to speak to man through the Holy Spirit. While killing defenseless enemies may conform to Nephi’s culture, it does little to justify Nephi’s sense of Christian morality exemplified by Jesus’s golden rule: “Therefore all things whatsoever ye would that men should do to you, do ye even so to them” (Matt. 7:12). The story raises serious questions like: Why did Nephi need to get the plates at all when God could have easily revealed the scriptures to him as he did in the many revelatory chapters contained in the first and second books of Nephi? Why did Nephi need the plates to teach the Law of Moses when they could not have practiced the Law of Moses anyway since they did not have sheep, goats, or Aaronic priests? How could Laban’s sword be made of steel and pure gold? Wouldn’t Laban’s blood-drenched clothes have been alarming to Zoram? Why did the brass plates contain chapters that Bible scholars have concluded were written after Nephi’s time? Is God’s collectivist rationalization (“better that one man should perish…”) a valid moral philosophy? It is not at all difficult to imagine that Joseph Smith, who lived in a time of romanticized history, should describe Christopher Columbus in religious terms. Though Columbus may have been inspired by his own sense of manifest destiny, scholarship also reveals him to be tyrannical, exploitive, and barbaric. Yes, there are potential matches for the route Lehi could have taken. Joseph didn’t need to know about Eastern coronation seminaries to describe Benjamin’s address. The speech resembles both in style and content the revivals with which Joseph Smith was well-acquainted. The modern LDS church does not follow the Biblical model of revelation. Biblical prophets were not confined to the ecclesiastical hierarchy, but instead frequently opposed it. The decision-making process of the modern church more closely resembles the consensus-building councils of the early Catholic church than it does the revelations of the Bible. If the LDS church is following the Biblical model of revelation, where is the revelation? Many Christian sects follow the form described in the Bible. To condemn other churches for straying from the Biblical model is hypocritical since the LDS church does not follow the Biblical model perfectly either. Where in the Bible does it mention stake presidents, mission presidents, multiple quorums of 70, a first presidency separate from the quorum of the twelve, a Relief Society, or the Correlation Committee? Not only does the LDS church structure vary from the Bible, it also varies from its own revelations. Some examples include: the high council of the center stake in Zion being in equal authority to the Quorum of the 12, the quorum of the 12 only having jurisdiction in the missions of the church, and the office of the presiding patriarch. The LDS practice of baptizing the living vicariously for deceased persons comes from Joseph Smith’s interpretation of 1 Cor. 15:29, not something he simply made up. It is also likely that he was influenced by William Hone’s Apocryphal New Testament, which he donated to the Nauvoo Library in 1844. The book contains the writings of Pastor of Hermas which describ baptism for the dead. If the LDS church were truer because some primitive Christians employed similar practices, then the Catholic church is truer for sprinkling baptisms of infants since the practices trace back to the 1st, 2nd, and 3rd centuries. The question is, per normal, biased. The real question should be: Why is the LDS church the best at following the LDS interpretation of the biblical temple? The need for Christian temples is not implied in the Bible. As Christianity slowly separated from Judaism, the temple lost its place as the focal point of worship. None of the New Testament writers mention the need for a temple. Paul describes how the Old Testament temple was a symbol of Christ and was fulfilled through him. It is also erroneous to say that Joseph “restored” the temple concept “on his own.” Large portions of the LDS endowment ceremony, including tokens, symbols, penalties, clothing, and phraseology are direct plagiarisms of Masonic ceremonies that bear no resemblance to the Old Testament temple. This biased question presumes that the LDS view of faith, grace, and works is “true” and then asks what other church better corresponds to the LDS view of these principles. Obviously no other church will better adhere to the LDS perspective than the LDS church. The people in power of course. The same could be asked about who authorized the extensive changes to the LDS endowment ordinance. The Book of Mormon does seem to occasionally follow a chiastic structure. This wouldn’t be surprising if Joseph Smith was mimicking Biblical style, since chiasmus is also common in the Bible. The Doctrine and Covenants likewise incorporates chiasmus. Should we therefore conclude that the Doctrine and Covenants was first written in Hebrew? A‘ SHALL YE CLOTHE YOURSELVES. 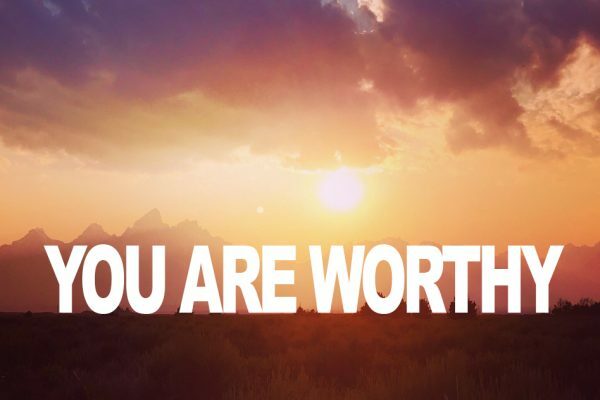 A‘ the Lord will not hold him guiltless, for he TAKETH his NAME in VAIN. Hebrew names are never a slam-dunk. Like the aforementioned names, this one requires a stretch in order to fit the faithful conclusion. The Hebrew word for “inherit” is “JWW.” The transformation to “Jershon” is only possible through a series of potential linguistic exceptions woven together by apologists. The symbolism of the Olive Tree was already established in the Bible (Isaiah 5). 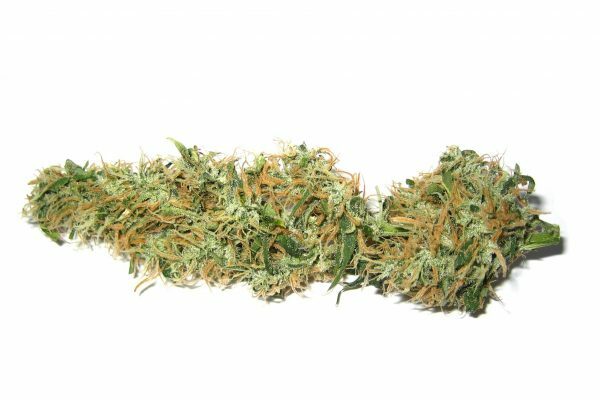 Knowledge of horticultural grafting is very ancient. It is completely plausible that a farmer would have adequate knowledge of such a process. This does nothing to prove that the Book of Mormon or the church are true. Easter Island inhabitants may share Native American DNA, but Native Americans do not share Hebrew DNA. Though recent publications, like National Geographic, have linked Native American DNA to Eurasian regions (like Siberia), their findings confirm the land-bridge theory, not the transoceanic migration described in the Book of Mormon. The data also predates both the Book of Mormon and Joseph Smith’s timeline for the existence of man. Mormons are funny. The #1 point of this dissertation is “Witnesses” like their life depended on it. Well, when you turn the tables around and point to actual witnesses in court records to Joseph Smith’s criminal activities, from gold digging to false claims to bedding multiple women and teenaged girls, then it’s “they all lied!”. Speaking of Joseph Smith’s polygamy: one Mormon on this very site had the gall to claim that it was a “fact” Smith had no progeny from his multiple wives based on zero DNA evidence from the populace. Turn that science around and say that there is zero DNA evidence Native American Indians are descended from Jews, and they burst into a chorus line of “I Believe” from the Book of Mormon Musical. Mormons are funny that way. links to the books are found at http://www.bookofmormoncaractorstranslation.com. You either believe or you don’t. Doubters will always find something to prove their point. Since the lds commit section Is closed, I will comment here. We are losing our fredom. It seems to me, many church folks, non lds and lds, are more concerned about theological purity then losing our freedom. As someone once said, if we will not defend the faith who will? When we come under intense persecution, are we really go to care what our cell mates believed?